Good quality insulation helps keep the heat in during winter and out during summer. This makes your house easier and cheaper to heat properly, and more comfortable and healthy to live in. The priority for insulating your home should be ceiling followed by wall and then underfloor insulation. Installation can often be done by the home owner by DIY installation, but installing is often best undertaken by an expert. Finding the best installer is usually easiest by using a search engine and entering search terms such as Insulation New Zealand. However refining the search terms to be geographically specific such as Auckland, Christchurch or Wellington will often yield better results. If you already know the type required getting a specialist installer will ensure your roof or floor is installed correctly at the best price. New build homes are often installed by the builder, but retrofit is usually undertaken by professionals such as members of IAONZ. Existing wall insulation or cavity wall insulation as it is often know by, requires specialist installing equipment. Retrofit wall companies are spread throughout New Zealand, with the biggest provider being CosyWall, which is part of the Safe-R network. Injected insulation systems are usually installed by drilling small holes in the internal linings or external cladding and these holes are then repaired by the installation company. 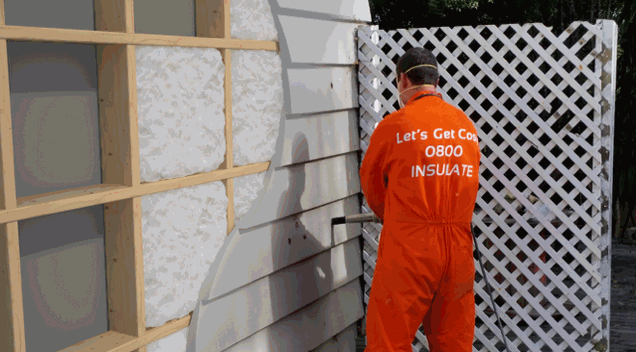 Dry fibre blown insulation or a wet foam are the two most common retrofitted wall systems. Retrofitted existing wall insulation requires a building consent unless exempted by the local building consent authority. Any acoustic issue are usually solved by installing into internal walls or noisy mid floor cavities and will not usually require a building consent. Due to changes in the RTA, rentals must now be fully insulated before July 2019. Blown roof products such as Jet Stream Max is a great option for landlords as it can be used as a cheap repair in almost any situation, including as a low pitch roof on in an inaccessible ceiling. For quotes please give Safe R a call on 0800267992 or email sales@saferinsulation.co.nz. We’ll put you in touch with the an expert.